Research In Motion’s (s rimm) first rumored handset for early 2012 could help boost the smartphone maker back into the limelight against Apple’s iPhone (s aapl) and a myriad of Google Android (s goog) handsets. The Boy Genius Report blog shared details on RIM’s BlackBerry Colt Monday, noting that it would be the first BlackBerry smartphone to run on the QNX platform. To meet the timeframe, BGR suggests the device may have older hardware components when compared to competing handsets, but that doesn’t sound plausible. The bigger issue is the amount of time it’s taking RIM to get its smartphone lineup transitioned to the new operating system. According to BGR, the Colt will use a 1 GHz single-core processor at a time where many smartphones are already powered by dual-core chips; we’re also expecting the first quad-core smartphones right around the end of this year. Back in December, co-CEO Mike Lazaridis went on record saying QNX would come to smartphones with dual-core processors. And that’s a good thing: My experience with BlackBerry’s Playbook, which already runs QNX on a dual-core chip, shows peppy performance for browsing, multitasking, video playback and gaming. Oddly, BGR is also reporting that the Colt may ship without BlackBerry Enterprise Server (BES), which sounds strange at first. Then again, shipping the PlayBook without a native email client is just as strange (if not more so) and shows that the company is still tinkering with the new operating system it acquired in April 2010. 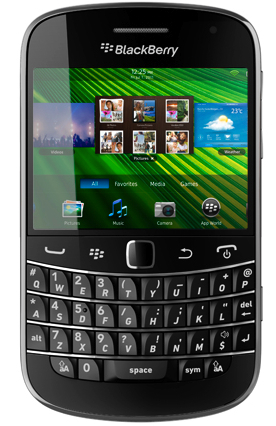 Far more important than the hardware choices is RIM making potential progress in the transition of QNX in handsets.